The Beer Spy Hit Its 1000th View! 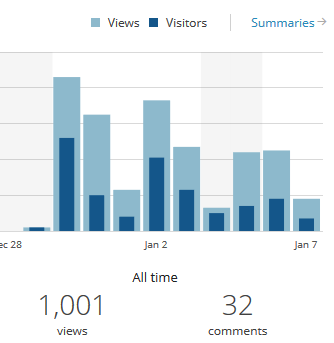 So at some point today the blog hit 1,000 views. Then it hit 1,001 before I could take a screen capture. That’s either a lot of people accidentally clicking the wrong link, or you people are actually reading this crap. The results of me hitting the refresh button 999 times.